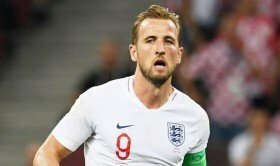 The England international suffered the injury during the first leg of the Champions League round of 16 tie against Manchester City, and Pochettino has now said that the signs are not good for the England international. Speaking to BT Sport, Pochettino acknowledged that Kane has suffered another injury on the same ankle and that could potentially rule him out for the remainder of the campaign. Spurs were on the backfoot shortly after Kane's injury against Manchester City last night, but they managed to secure a sublime 1-0 win after Heung-min Son scored with a stellar solo effort. The South Korea international is likely to lead the line for the north London side this weekend where they are scheduled to face the already-relegated Huddersfield Town at the Tottenham Hotspur Stadium.